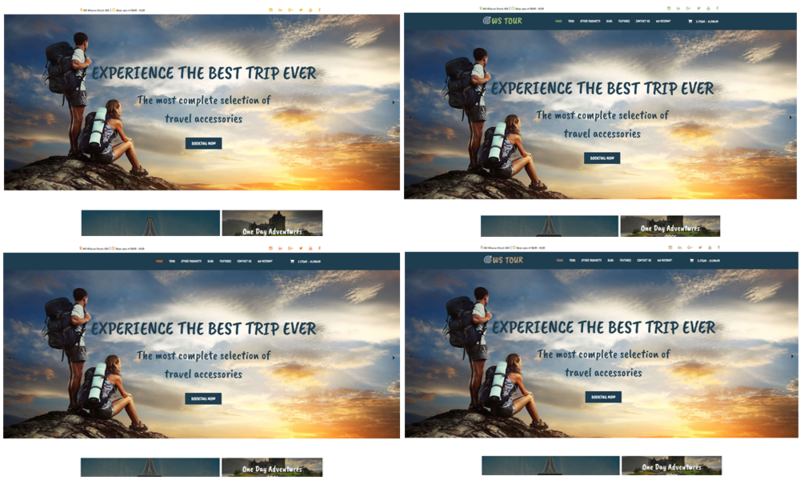 Best Free Travel Booking WooCommerce WordPress theme builds with Genesis Framework, shopping cart supported by WooCommerce 3.x, Responsive Layout, Easy to Customize! This amazing theme also equipped with full necessary services for a tour such as Package tours, Booking, Tour Guide introduce and more. 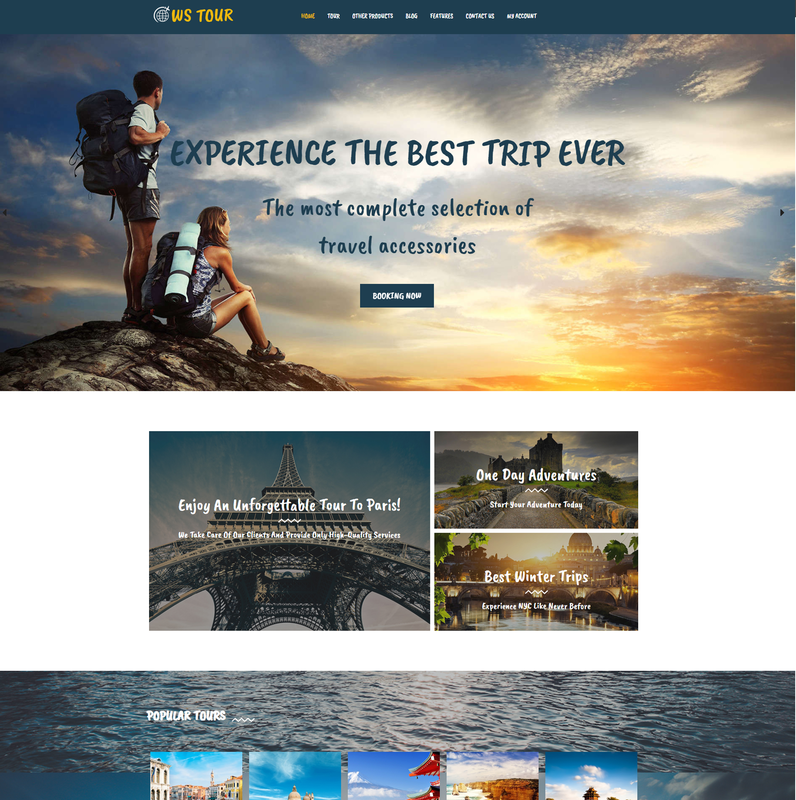 WS Tour is a premium elegant WooCommerce WordPress theme designed especially for advertising travel company websites. Been recently refreshed from its previous version, WS Tour now has a new appearance with images of spectacular scenes from beautiful destinations all over the world to attract more customer to your travel agency. 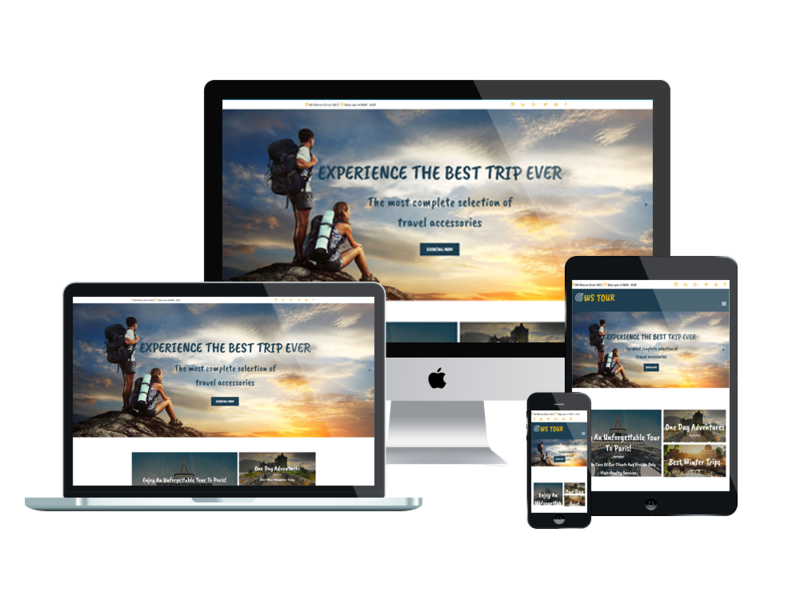 WS Tour makes your sites display beautifully on all mobile devices with 100% responsive and modern layout. Besides, page builder and drag-drop layout content are ready to help clients develop their websites as well as edit content without any effort. Moreover, with unlimited color and a color picker in the admin panel also integrated to make your site gorgeous than ever. It’s time to provide your customers some amazing top destination ideas and start your own travel business!